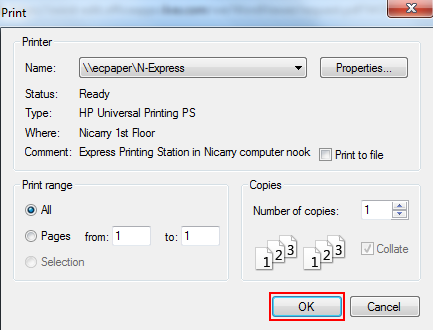 How to print and share your document. Step 1:Click on the File tab. Step 3:Click the Print button. 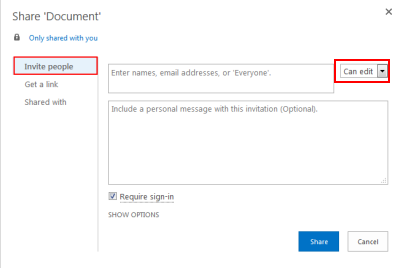 Step 4:Click the provided link to view a PDF copy of your document. Step 5:Click the small Print icon in the top-right corner of your screen. 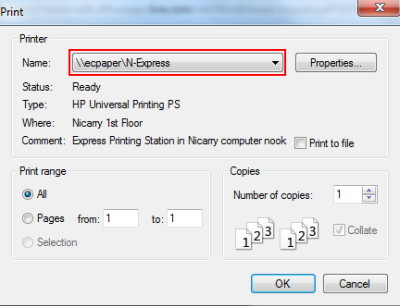 Step 6:Send it to a specified printing location. Click the Share button in the top-right corner of your screen. A. Invite people to edit or view your document. 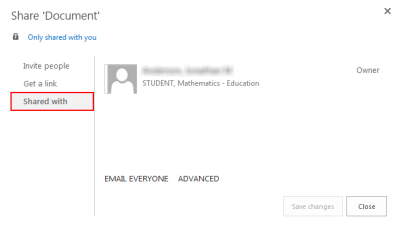 Control who can view or who can edit the document with the indicated drop-down box. B. 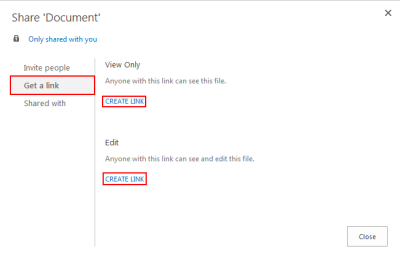 Create a link for others to view or edit your document. C. View who you've shared your document with.